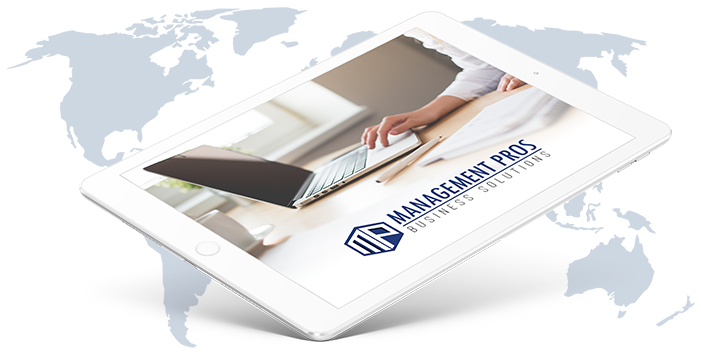 Management Pros is a full service accounting firm which assists organizations by customizing your accounting services to suit your company needs. We provide a reliable and vital link between clients and accountants, not only at year end, but throughout the year. We can conveniently handle all of your accounting needs. We possess a complete library of QuickBooks® programs to provide seamless integration. A key benefit of working with us is customization. Your firm pays only for the services you require from the simple to the complex. Through ensuring accurate entry from the onset, we provide financial statements, budget estimates and analysis, job cost analysis, cash flow reports, sales tax preparation for single or multiple states, payroll processing and filings, monthly reconciliations and Profit/Loss statements so your firm has a clear understanding of the bottom line each month. We also provide general data entry such as purchase orders, inventory, accounts payable, accounts receivable or time sheets. Our experienced professionals will help ensure that all entries, relevant reports and tax filings are processed quickly and accurately, freeing you to concentrate on building your business. Accounting specializes in helping your businesses save time and money with proper record keeping. Setup and designing a system for your business to succeed.